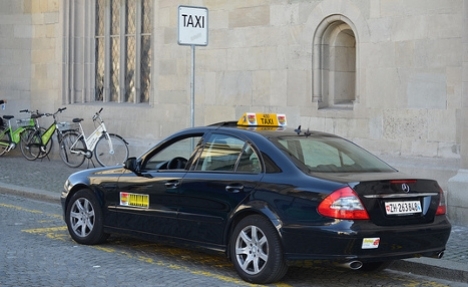 Taxis in Zurich are the most expensive in the world, according to a new survey. Hailing a cab in the Swiss city will cost you more than other major cities including Paris, London and New York. The study, carried out by Germany-based strategy and marketing consultants Simon Kucher & Partners and reported by Swiss newspaper 20 Minutes on Wednesday, found that taxi fares in Zurich exceeded those in 17 other major cities around the world. A three kilometre taxi ride in the Swiss city will set you back 17.40 francs ($19.17), of which six francs is the base charge added to 3.80 francs per kilometre after that. The fare is more than six francs higher than the second most expensive city, Amsterdam, where the same length journey costs 11.24 francs ($12.38). Taxis in other major powerhouse cities were significantly lower, including in London (10.77 francs/$11.87), Berlin (10.66 francs/$11.75), Vienna (9.80 francs/$10.80), Sydney (8.49 francs/$9.35), Paris (6.95 francs/$7.66) and New York (6.38 francs/$7). Despite the high fares, Zurich taxi drivers do not earn well, according to the Zurich Taxi Association. Around 45 to 50 percent of fares go towards the costs of running the taxi service, its spokesperson Liz Spengler told 20 Minutes. Lowering fares is not possible in one of the most expensive towns in the world, she added. Zurich’s high fares are not exceptional within Switzerland. For the same length journey in Geneva and Lausanne fares are similarly high, costing 15.80 francs and 15.20 francs respectively. Vive la France, vive les chauffeurs de taxi de Paris…by Jim Thomas.